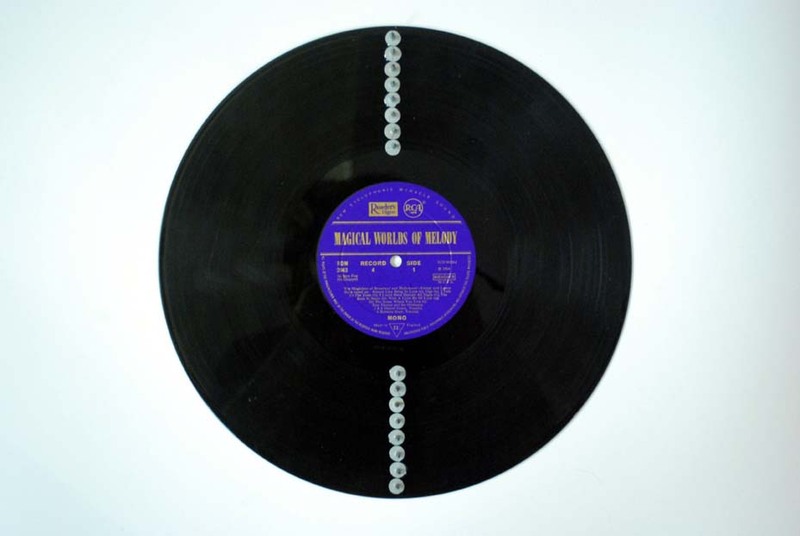 A college of cut-up record sleeves and several records which have been altered or retextured. 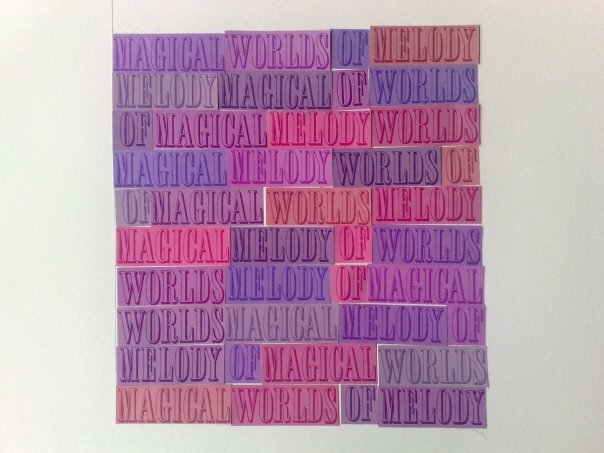 The college features the words “Magical Worlds of Melody” arranged in different permutations. 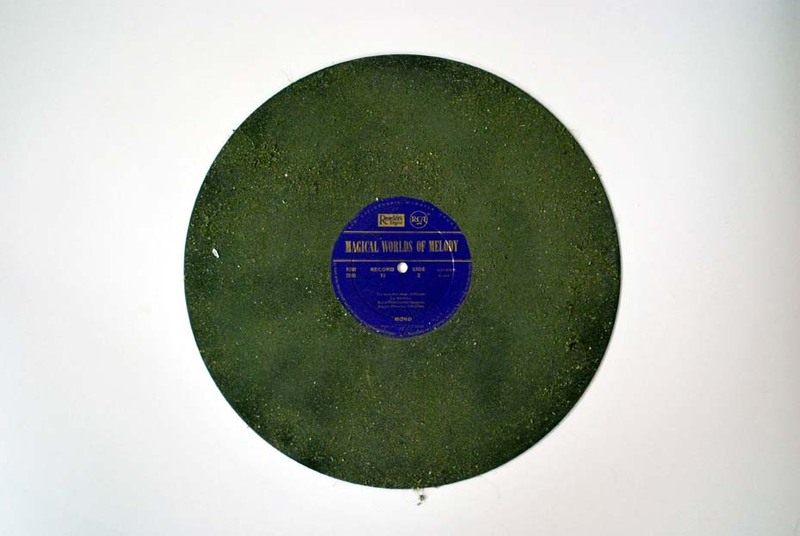 Various records are coated with dirt, have nails attached or have burn marks. The elements can be displayed in different combinations. Individual elements refer to works including Man Ray’s Cadeau, Robert Rauschenberg’s Dirt Painting for John Cage and Brion Gysin’s permutation poems. Shown at Contact Theatre, Manchester, May 2010.